Either party, or both parties in a divorce action can request that the Court issue an alimony order as part of the terms of the Judgment of Divorce. Alimony is defined as support payments from a spouse who has an ability to pay to a spouse who is in need of support. This is the first part in a three (3) part series on alimony. In our blog, we discuss the factors the Court considers when determining whether or not to enter an alimony order. Massachusetts General Laws Ch. 208 §53(a). The Court may give more weight to some of the above factors and less weight to some of the other factors. However, the Court must consider all of the above factors when deciding whether or not to enter an alimony order. The facts and circumstances of your case will determine how much weight the Court gives to each factor. The length of the marriage is calculated based upon the number of months from the date of the marriage through to the date of service of the complaint for divorce. While the Court has the authority to issue alimony orders in short term marriages, a divorce that occurs after a long term marriage will likely be a factor to justify an alimony order. The age of the parties relates to how close the parties are to full retirement age. Where both spouses are about the same age this factor may not hold significant weight. However if one spouse is much older than the other spouse and closer to retirement age, then that spouse might have a stronger need for support than the spouse who has many years left in the work force. When one spouse has a chronic illness or is disabled that spouse might not be able to support her/himself and therefore may need alimony from the other spouse. When there is a significant disparity in the incomes and employability of the parties, the lower earning spouse is more likely to be in a position to “needs” alimony. The higher earning spouse may also be in a position of having an “ability to pay” alimony. Economic and non-economic contribution of both parties to the marriage relates to the type of marriage the parties enjoyed. One spouse might have been primarily responsible for the finances while the other spouse might have been primarily responsible for raising the children and/or maintaining the household. Neither contribution is more important than the other. Rather both types of contributions are important for the Court to consider when deciding whether or not to enter an alimony order. The marital lifestyle also relates to the type of marriage the parties enjoyed. With this factor, the Court will consider whether the parties lived a lavish life style, were able to acquire significant assets i.e a second home, contribute towards retirement accounts, have disposable income after expenses were paid, take vacations, send their children to private school, the types of social activities the parties enjoyed, etc…. The Court will then consider whether both parties have the ability to maintain that lifestyle enjoyed during the marriage. If one of the spouses is able to maintain that lifestyle and the other spouse is not, the Court may enter an alimony order so both parties are able to maintain the life style enjoyed during the marriage. Lastly, the Court will consider whether or not either spouse lost out on economic opportunities as a result of the marriage. This most often arises where one spouse sacrificed either educational and/or employment opportunities during the marriage so that the other spouse could advance his/her career. 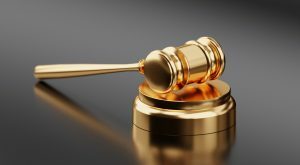 Whether the Court enters an alimony order depends on the specific facts and circumstances of the case.For exceptional assistance in any of your divorce or family law matters, contact the knowledgeable and experienced attorneys at Karpenski & Schmelkin, Divorce and Family Law Attorneys for more information.